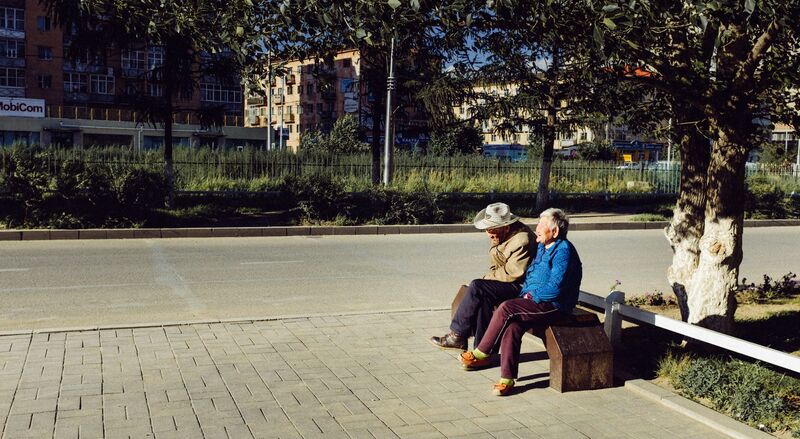 While I was walking around Ulaan Bator, I came by this old couple, sitting and enjoying the afternoon sun. She was laughing loudly, but he wasn’t looking like a joke cracking kind of guy, or then again maybe he was. Old Mongolian couple by Bo47 is licensed under a Creative Commons Attribution-NonCommercial-NoDerivatives 4.0 International License.